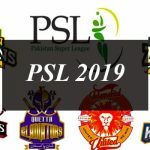 Home » Technology News and Business Updates Of Pakistan » How to Watch PSL 4 Live Streaming? The Pakistan Super League 4th Edition (PSL4) is all set to start tomorrow on 14th February and will end on 17th March 2019 with the final match which will be played in Karachi’s National Stadium. As per the schedule declared by the PCB the last 8 matches out of 34 of the forthcoming tournament will be played in Pakistan. The opening ceremony of PSL 4 tournament will features the fun filled performances of the glittering stars and after the opening ceremony there will be opening match between Islamabad United and Lahore Qalandars on 14th February, 2019 at Dubai Cricket Stadium. Pakistan Super League 4th Edition matches will be broadcast live on TV channels including Ten Sports, PTV Sports, and Geo Super and also on the authorized to broadcast PSL 4. If the viewing of the PSL 4 live isn’t helpful for you, you can switch the live stream of PSLS 4 2019 on your smartphones and websites. 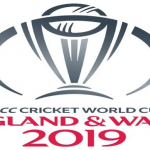 Viewers in Pakistan would watch the live stream on cricketgateway.pk while the viewers from different other countries would need to visit cricketgateway.com to stream the fourth edition of PSL 2019. You can also watch the live streaming online on the PTV Sports official website, on Wicket.TV and also on PSL live streaming on YouTube and from PSL official website. You can also download the cricketgateway application for Android or iOS to for the live stream on your smartphone and websites. On the other hand you can also download the SonyLiv app, LiveNet TV app, PTCL Smart TV app to watch the live action. Radio Pakistan will broadcast live ball-to-ball running commentary of the fourth edition of Pakistan Super League 2019 from its Medium Wave network from Islamabad, Lahore, Karachi, Multan, Bahawalpur, Hyderabad, Peshawar, Quetta, D.I.Khan, Skardu and Gilgit stations. FM 101 network of Radio Pakistan will also broadcast live updates of PSL during their normal transmission. How to Watch PSL 4 Live Streaming? PSL 4 Live Steaming on TV channels, smartphones and websites. The Pakistan Super League 4th Edition (PSL4) is all set to start tomorrow on 14th February and will end on 17th March 2019 with the final match which will be played in Karachi’s National Stadium.